We’re thrilled that ALDI has opened up in this neck of the woods. It gives shoppers another (affordable) option for food basics. All the ALDI Food Markets out there are essentially almost carbon copies of each other. That’s their business model. Little differences here and there – but everything is always easy to find. The key difference between the ALDI of Phillipsburg, and say the ALDI in Flemington, for instance – is this “free-standing” location is more like their other free-standing stores. That is, bigger. The ALDI in Flemington took a previously occupied space, so it was not the optimal size. This doesn’t mean they have anything in addition to other ALDI Food Markets – just slightly more inventory. You know, two rows of chips instead of one. And many more cases of beverages, etc. Not a game changer, but interesting to note. We’ve run into inventory outages in Flemington many times while they get the kinks out. But we still love ALDI – and shop there at least weekly. Good to have another option out west. It would be killer if ALDI opened up in the old Walmart location over in Readington, NJ. They’d probably take up only 1/6th of the space – but still. People there would appreciate it. How will ALDI disrupt the supermarket business? We sense the landscape changing over the course of the next decade when it comes to food shopping. And I think ALDI senses it too, which is why they’re opening up thousands of new stores in America. Many people I speak with each time we shop at ALDI say similar things. That “they had doubts,” but now are “regular customers.” Not everyone is open to changing their supermarket loyalties. In addition, a good chunk of the population doesn’t think too hard, or even study or analyze things anymore. A solid set of open eyes will divulge profound information! There has to be some kind of “disruption” coming. That is what happens to businesses that do not evolve properly. However, I’d certainly like to note that most ALDI Food Markets we go to – are RARELY swamped. Maybe it’s the time we go or the fact that these are “new,” who knows. But it’s going to take some serious effort for ALDI to get over the hump with their expansion into heavily-established markets. Old habits are hard to break. Especially when it comes to putting food in your mouth. This ADLI Food Market is supposed to open Spring 2018 up in Phillipsburg, in the western zone of NJ Route 22 in New Jersey. It will certainly happen, and we’re excited! It’s technically in Pohatcong, next door to the Raymour and Flanigan furniture store. 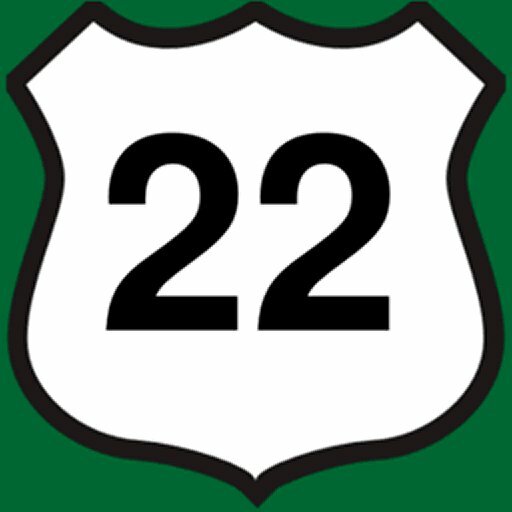 Route 122 (New Brunswick Ave.) is just to the south. We love ALDI. So we really are just patiently waiting for them instead of complaining it doesn’t happen sooner. Stinks that they have to deal with the local building department! The ShopRite of Phillipsburg is a major force in this section of NJroute22.com, and to some extent, so is the Stop & Shop up the road. However, the economic conditions in this area are not quite as good as other areas of NJ, so local residents will be thrilled to have a quality, low-priced alternative for everyday staples. Your dollars go a lot further at ALDI than most other food markets. When they open up in April or May of 2018, we’ll be there to enjoy their arrival in the neighborhood.